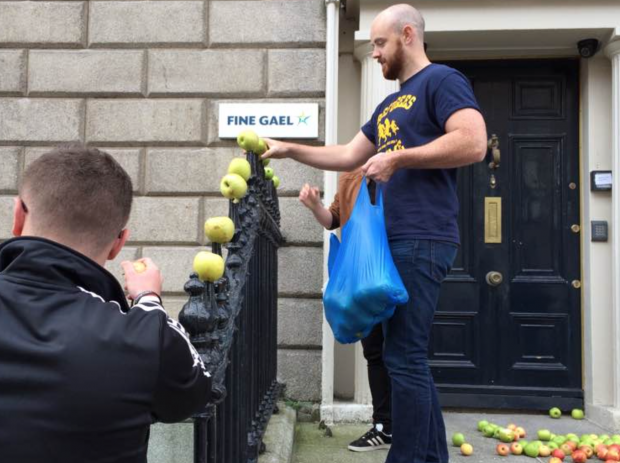 How do you like them Apples, Fine Gael? 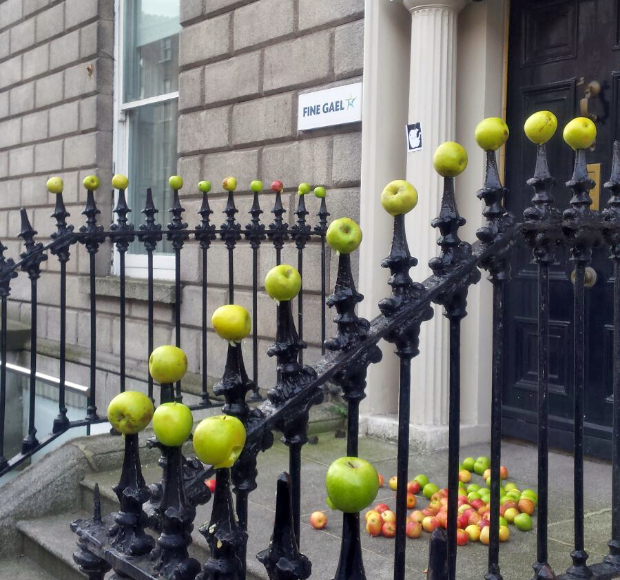 PROTESTERS dumped dozens of apples at the headquarters of the Fine Gael party in Dublin this morning as the controversy over the €13billion Apple Tax scandal continues. On Tuesday a European Commission investigation found computer giant Apple's tax arrangements in Ireland amounted to illegal state aid and ordered the company to pay €13billion plus interest in back taxes. 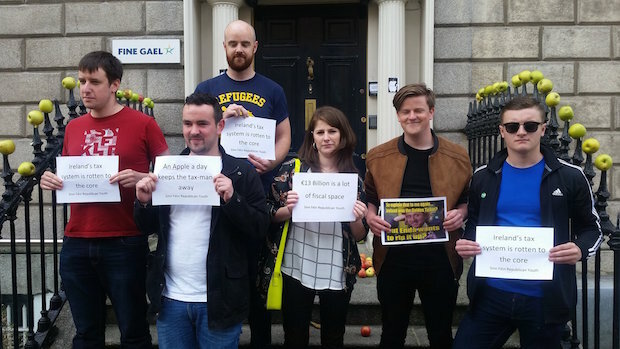 However, the Irish Government led by Fine Gael is planning on using taxpayers' money to appeal the tax windfall.